My kids are pretty typical. They all want their own phone…yesterday. If you have kids, you likely know this and hear it every day. As the mother of tweens, I recently purchased two phones and activated service through Twigby. I thought it might be helpful to hear about my experience getting cell phone service for my kids. I have a ten-year-old and a thirteen-year-old, and I am very concerned about staying within a budget. It is also very important to me that they learn responsibility, as their freedom increases. Twigby gives me lots of ways to meet my main concerns. You know you need better cell phone service, one that doesn’t bind you to a contract or charge you for services you don’t need. 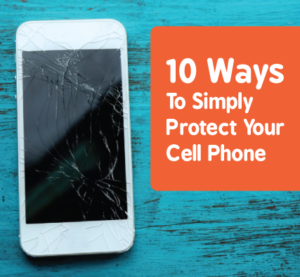 The idea of consistently saving money also appeals to you, but you aren’t ready to give up your current phone. Can you bring your own phone when you sign up for services? You won’t know the answer until you enter your MEID to check if your phone is compatible. What is your phone’s MEID number? It is your Mobile Equipment Identifier and it is kind of like your phone’s driver license. Some older phones use the ESN (electronic serial number) instead of an MEID. At Twigby, we can activate your phone whether it uses an MEID or an ESN.